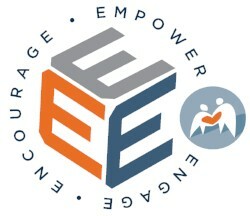 The E3: Encourage, Empower, Engage program is funded by the Connecticut Department of Transportation. This peer-to-peer initiative on underage drinking and substance abuse promotes healthy decision making through a 12-module educational curriculum on character development and leadership opportunities. E3: Encourage, Empower, Engage supports a substance free lifestyle and addresses underage drinking, impaired driving, and substance use through self-exploration, reflection, and learning support through two community campaigns. The program is led by youth for youth in high school. Students are supported with the guidance of an adviser. Since 2016, the E3 program has been hosted in 16 schools and has trained over 250 peer leaders statewide. It is a data-informed program and uses outcome measurements to gauge overall program impact. E3 can be implemented in an existing advisory class, health class, youth group, after school program, student club, or function as a stand-alone program. The Governor’s Prevention Partnership provides technical assistance to ensure support throughout the program implementation phase.